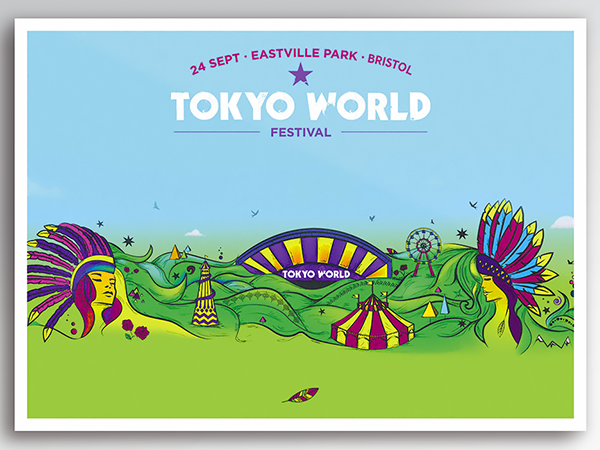 Tokyo World approached us, asking for a new visual concept for their 2016 festival. 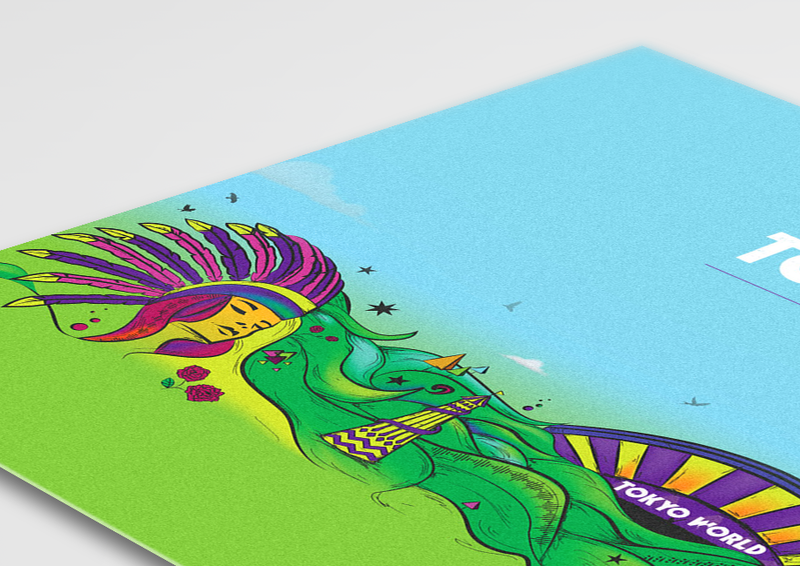 They wanted some fun and bright bespoke artwork, that could be used on all their posters and e-flyers. We spoke regularly with the client, and eventually whittled down their new concept for the event. They wanted earthy and organic festival-themed artwork, hence we incorporated things like Indian headdresses and Helter Skelter. 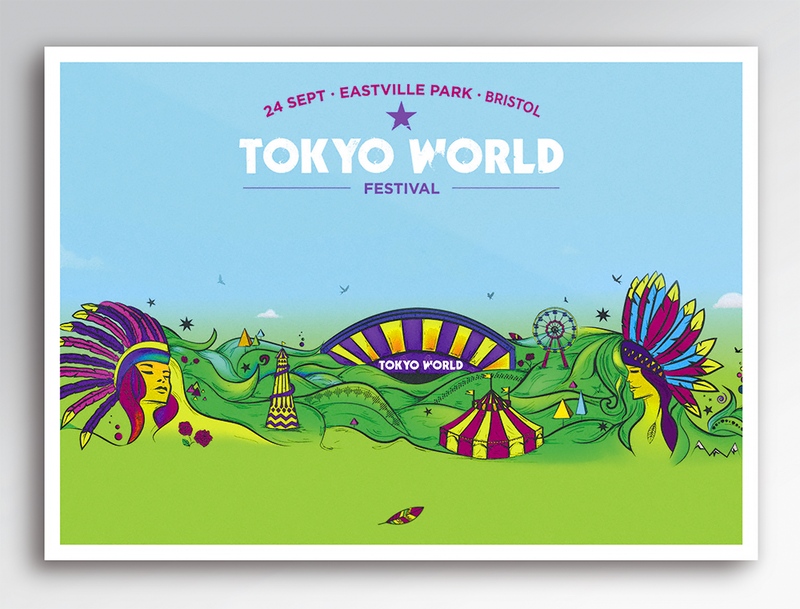 Using a bespoke palette of vibrant colours, we created a unique illustration that captured exactly what the client was looking for. Honey Co Medaus Lasas. Brochure Design.